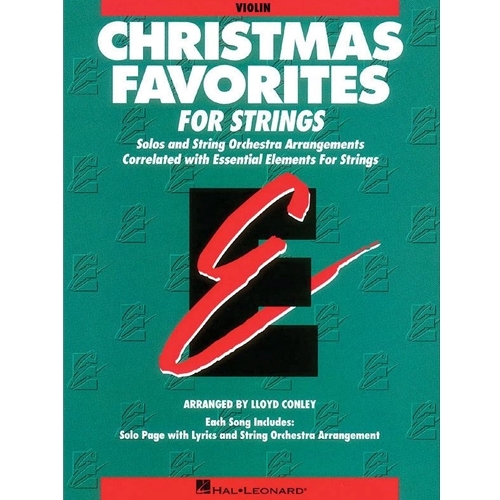 A collection of Christmas arrangements which can be played by the entire string group or by individual soloists with optional CD accompaniment. Each song is correlated with a specific level in the Essential Elements Method books. Includes: Frosty the Snowman * A Holly Jolly Christmas * Jingle-Bell Rock * Jingle Bells *Let It Snow! Let It Snow! Let It Snow! * Rockin' Around the Christmas Tree * Silver Bells * The Hanukkah Song * Up on the Housetop * We Wish You a Merry Christmas * White Christmas.